Written by a team of legal experts on copyright, this user-friendly, comprehensive guide is the essential reference tool for everyone in the world of museums and galleries whose work brings them into contact with copyright-related questions. How can you make money from copyright? What are the consequences of unauthorized use? A Guide to Copyright for Museums and Galleries shows that when properly handled, copyright can provide opportunities for museums and galleries to achieve their core objectives. 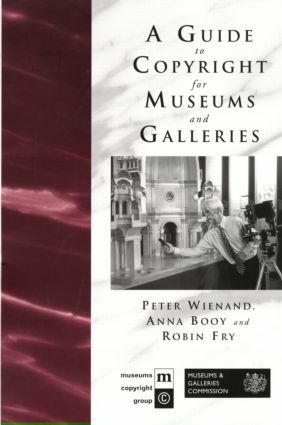 This is an essential text for all museums and galleries.